Update on Android 7.0 Nougat is already rolling out for Users of Android One devices. 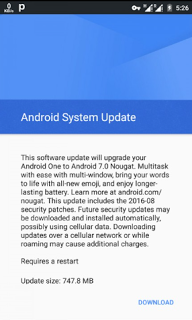 So as it stance now most of android one users across the world have started receiving Android 7.0 Nougat OTA updates from Google. 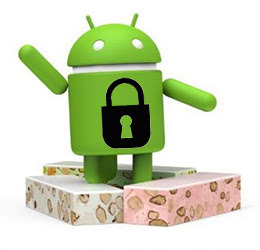 Below are the list of devices that are receiving Android 7.0 OTA updates. And also, for those of you that are using Xperia Z4 Tablet, Xperia Z5, Xperia Z5 Compact, Xperia Z5 Premium, Xperia X, Xperia XA, Xperia XA Ultra, Xperia X Performance and Sony Xperia Z3 should be expecting the update also.